Middle East Perspectives by Rick Francona: Faisal Shahzad - a Taliban throwaway? The Times Square bomber, Faisal Shahzad, is appearing more and more to be a patsy for Hakimullah Mehsud, a senior leader of the Tehrik-e Taliban Pakistan (the Pakistani Taliban Movement). Let's take a look at the relationship between Hakimullah Mehsud and Faisal Shahzad. 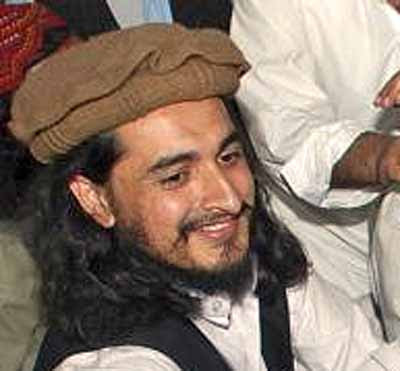 Hakimullah Mehsud is the leader of the Pakistani Taliban in the South Waziristan area. His father, Baitullah Mehsud, was killed in a CIA drone-launched missile strike in August 2009. Baitullah was responsible for the assassination of Benazir Bhutto in December 2007, among other vicious attacks in the country. No tears should be shed for Baitullah Mehsud. Enter Faisal Shahzad. Shahzad, a radical Islamist (we do not know yet how or when he became radicalized) is seeking to become a jihadist. On one of his 13 trips to Pakistan, he met up with Taliban members. Here is Mehsud's opportunity for revenge for the death of his father at the hands of the CIA. He plans to use Shahzad - an American citizen, of course, with an American passport - to mount a lethal attack in New York City. Surely, Mehsud reasons, such an attack will cause public opinion to demand that President Obama call off the drones. Shahzad pretty much confirmed this when he claimed that his motivation for the attempted attack in Times Square was retaliation for the CIA missile attacks. No one has ever accused the Taliban (Pakistani or Afghan), nor Mehsud, of being strategic thinkers. If they hoped that an attack on American soil will end the strikes, I hope they are mistaken. There is no way that President Obama can lessen the frequency of the missile strikes after this attack attempt - its failure has no bearing - without appearing to give in to the terrorists. 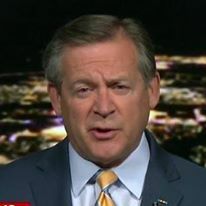 I say I hope because this Administration's warfighting strategy in either Afghanistan or Iraq has not been inspirational - the CIA missile strikes are a welcome exception. The Administration's seemingly reticence to use American military power may have encouraged Mehsud to create what we in the intelligence world call a "significant emotional event." Ironically, the tactic that the terrorists thought would cause the United States to reassess its missile strike operations in Pakistan almost guarantees that the attacks will continue. It has also taken away any option the President has to change the missile strike program. If he changes the program, he will be - rightly - excoriated for being weak in the face of terrorism. Is Shahzad a patsy, a throwaway for the Taliban? You might think so, given the sloppy nature of this operation. Shahzad was given what must have been given only rudimentary bombmaking training. The Taliban know how to construct explosive devices, but the bomb made by Shahzad was not up to their standards. Then there is the issue of his escape - if in fact he was supposed to escape. I suspect he was supposed to be killed in a suicide operation. Otherwise, he would not have done virtually everything wrong: purchasing a one-way ticket with cash at the counter on day of flight, no luggage, use of real name, no fake documents, etc. Either this was poor planning, or an amateur trying to escape when he was supposed to be dead. In any case, the Pakistani Taliban have raised the ante. The President needs to call their bet. He needs to call it with a devastating shower of Hellfire missiles - soon.